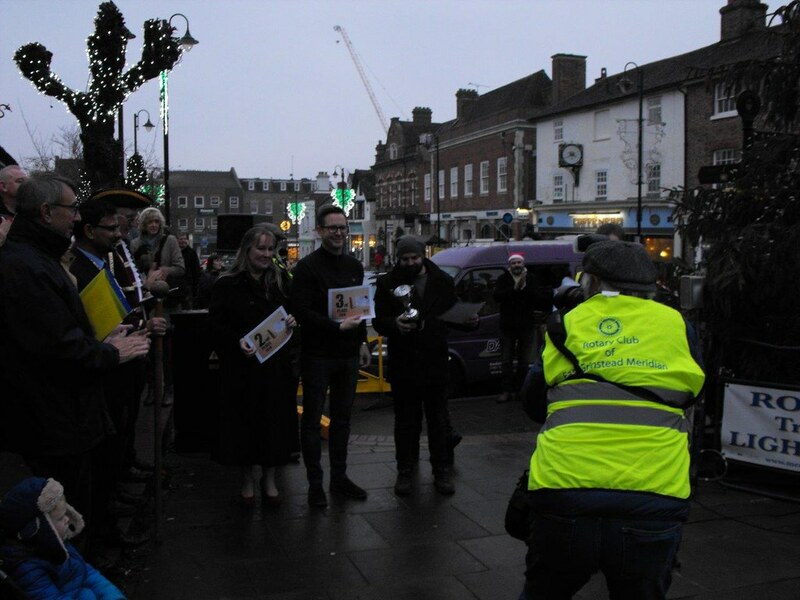 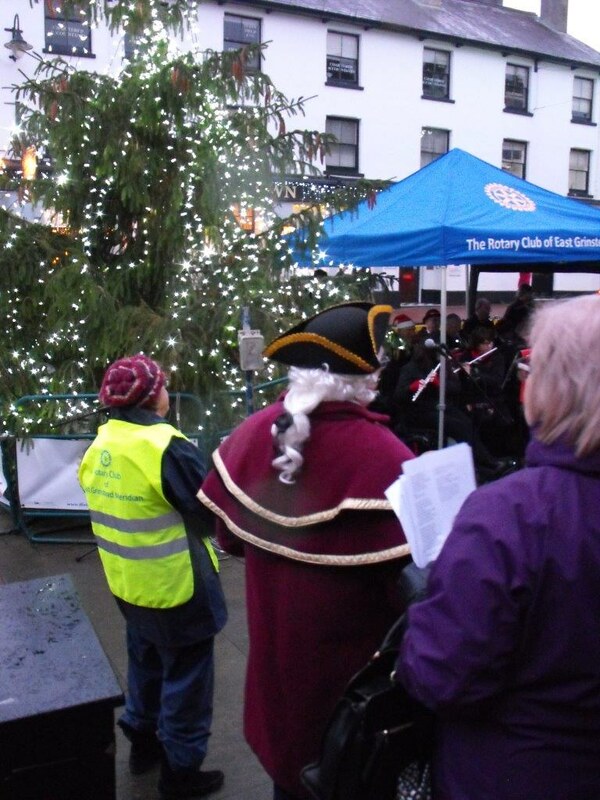 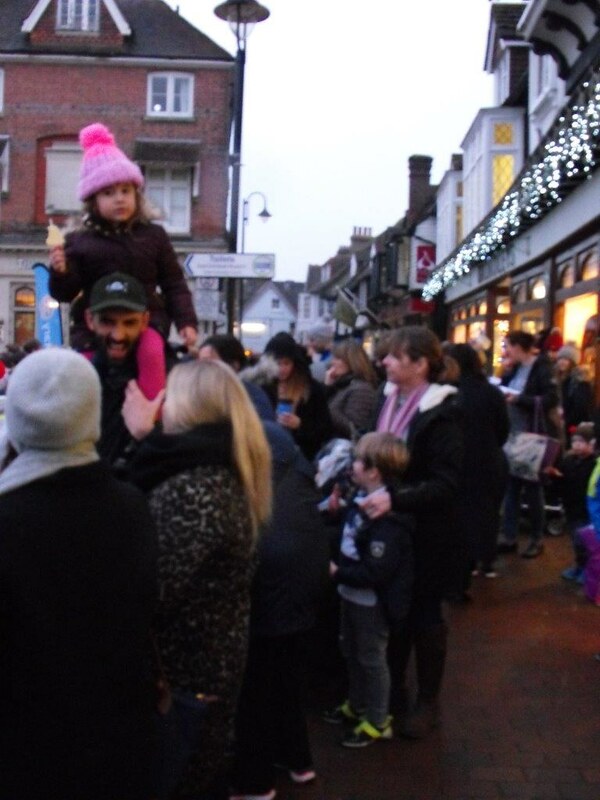 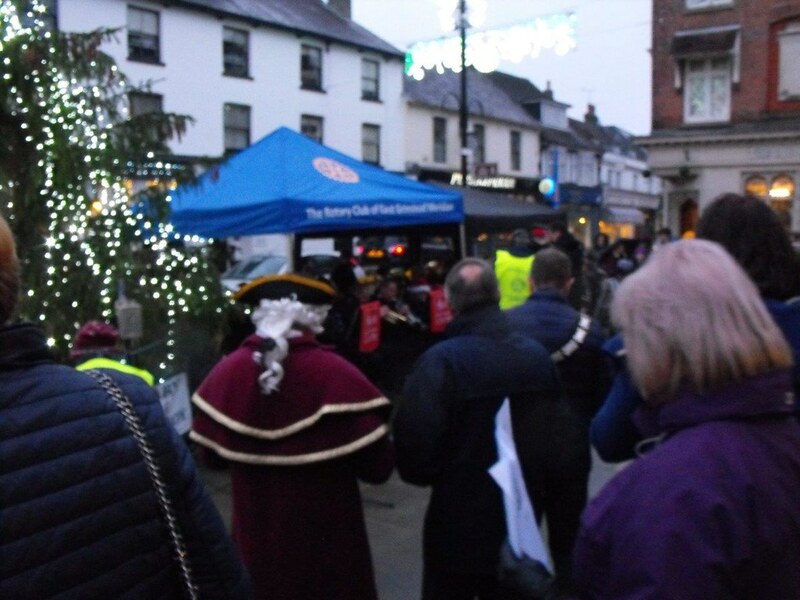 On Saturday 24th November the Rotary Club of East Grinstead held their ceremony to switch on the Tree of light. 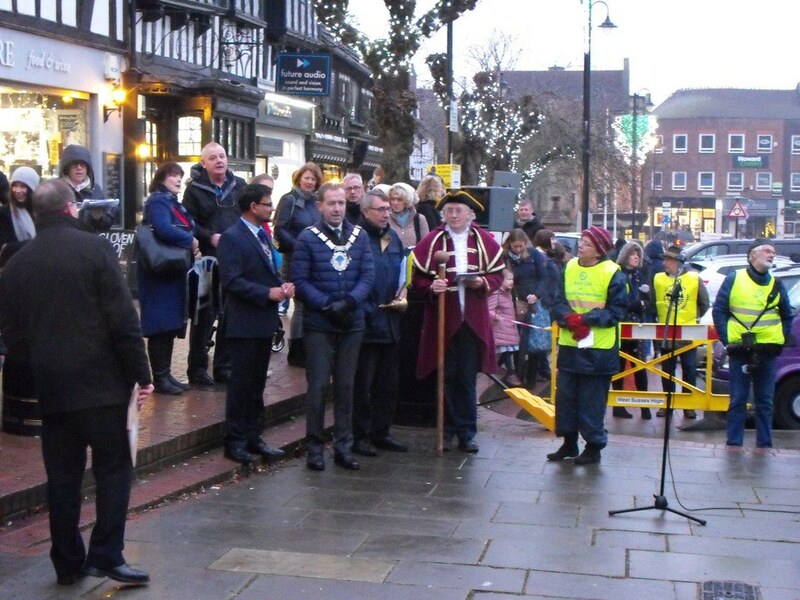 Meridian Rotary Club Chairman, Steven Kirupai was joined by Town Mayor Cllr Rex Whittaker and the first task was to announce the winners of the ‘Big Reveal’ 11 Middle Row’s Ginger bread house, took first place and the trophy, Emma Tindley’s wedding dress shop was second and in Third place Cole’s Estate agents. 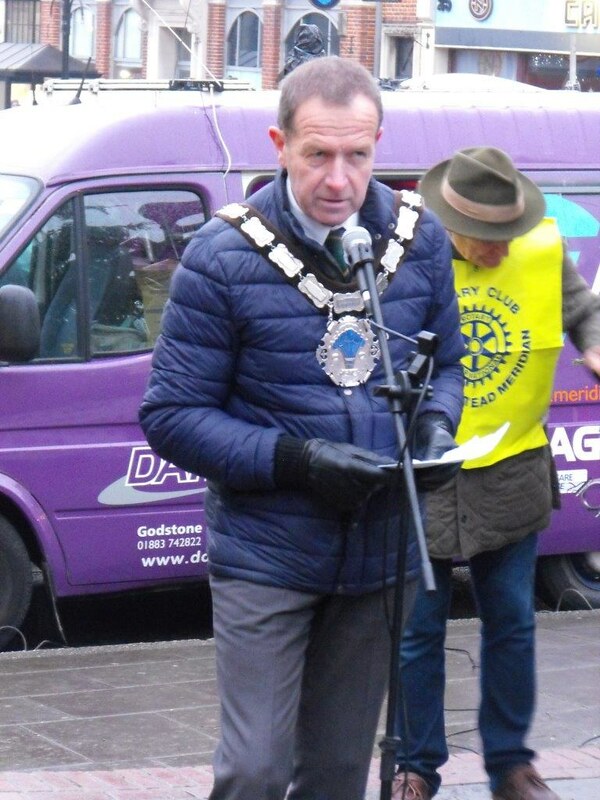 The Mayor congratulated all the participating venues on creating such a fantastic feel good event that brought thousands of people into the town. 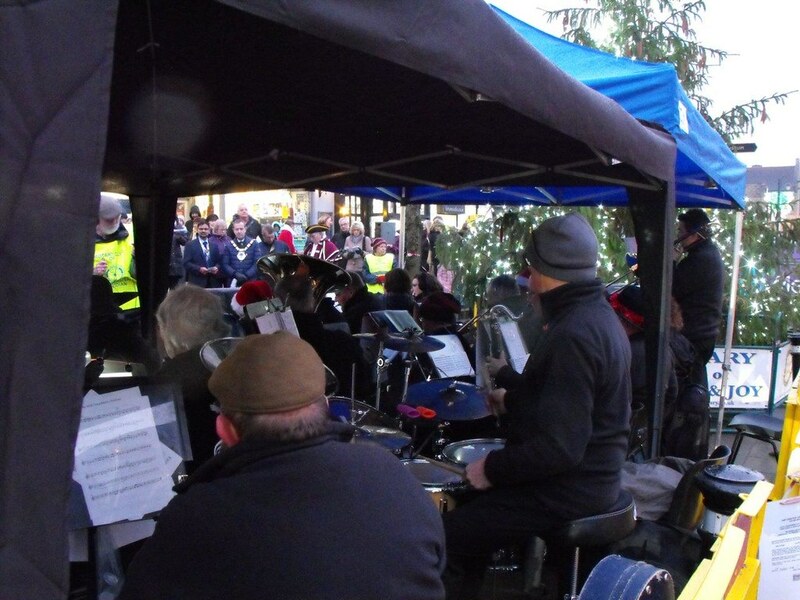 East Grinstead Concert Band, Sackville School Choir, pantomime characters, carols and Father Christmas were on hand to entertain the crowds before the countdown commenced and the lights were switched on.